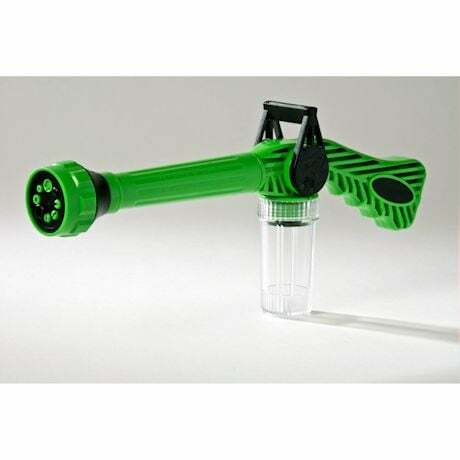 EZ Jet Water Cannon easily attaches to your standard garden hose and has eight settings that take you from gentle mist to power spray with a twist of the nozzle. 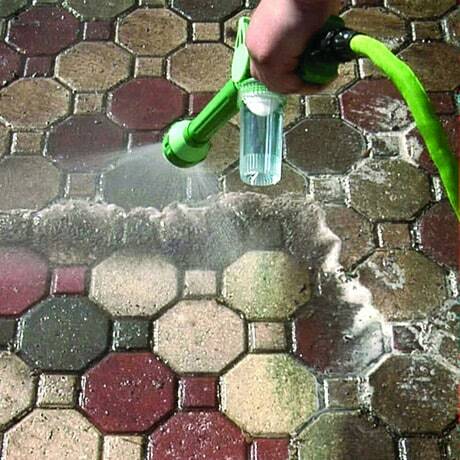 You can fill the built-in dispenser with detergent for a cleansing soap spray, or with fertilizer to water your flower beds. Made from lightweight but sturdy plastic. Set of 2 for different jobs around the house.